Fancy earning an income or extra pocket money from doing something you love? 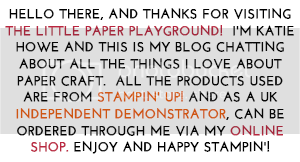 If, like me, you are passionate about papercraft and would love for it to pay for itself, then becoming a Stampin' Up! Independent Demonstrator may be for you. You can adapt your work hours to suit you. You could choose to be your best customer and purchase the discounts yourself. Or, you could choose to demonstrate at classes, parties or even on your own You Tube channel, showing off your skills whilst sharing your love of Stampin' Up! You can receive cash bonuses, product bonuses, incentive trips and other rewards as you achieve success through Stampin' Up! 's award and recognition programme. You can also have the opportunity to view and purchase new products before they go on sale to the general public! Not only that, but by joining in the fun, you will gain access to a wealth of support and ideas from Stampin' Up! to try and bring out the best in you and the products you make. There is an Independent Demonstrator website which you will be given access to. 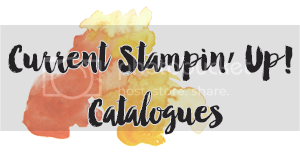 On there there is an array of information for you as well as the opportunity to chat to the global Stampin' Up! 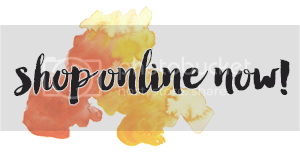 community through the Stampin' Connection forum. There is also a dedicated demonstrator support helpline who are truly fantastic and are always on hand for help and advice. Joining costs just £99 (129 €) and for that you get to choose up to £130 (175 €) of products as part of your starter kit, plus a business pack including all the essentials required to start your business! Stampin' Up! Independent Demonstrators come from all walks of like and for all different reasons. Some are discount demonstrators buying products for their own personal use with occasional sales to friends or family. Some join in the short term to earn extra money for something specific. Many are hobby demonstrators, expanding their craft network while demonstrating and socialising. There are mummy demonstrators like me who work around their family commitments while getting a little ‘me time’ and earning some extra money. Then there are career demonstrators, working hard to build their business. You do not need to be local to me to join my team. As long as you are over 18 years of age, team members from across the UK, France, Germany, Holland and Austria are all welcome. You will have my full support both online and by phone as well as the opportunity to join a private Facebook group to converse with peers. Nothing. There is no pressure at all. There are no hard targets set by the company. Just sell or buy (all personal purchases count too) £225 (300 €) of products every three months to remain 'active' (which is the net figure, the actual catalogue product price to be sold/purchased is £270). Please note that this does not include the quarter you join in. Stampin' Up! do give you a bit of time to settle in! If you do not reach your minimums by the end of the designated quarter you are given a months grace to reach your minimum. If you after that you have still not reached the target you are then just classed as 'inactive' and will not be able to access the demo website or get the discount. You get to keep everything you have purchased and revert back to being a customer. It is as simple as that. Click here to take you to the joining page. Once you have completed these steps, Stampin' Up! will send you a welcome email. Included in this will be your password to gain access to the Demonstrator Website and the wealth of resources and information it contains. The first order you place within 45 days of joining, if totalling £150 or more is eligible for 30% discount so another great incentive to purchase items at a huge discount! Your starter kit will be delivered direct to your door within 3-4 working days. Please note that you cannot place your first order within 7 days of joining. Also not that you will need to enter bank account details when first visiting the demonstrator website. This will be the bank account that Stampin' Up! will pay any extra commision you have earned back into. You will also need your IBAN and SWIFT codes which can be found on your bank statements or online banking information.